Type 1 diabetes is a condition in which the beta cells of the pancreas make little or no insulin, causing blood glucose levels to rise. Many tests may be used to diagnose diabetes, including Type 1 diabetes. The hemoglobin A1c test, also known as glycated hemoglobin, HbA1c or A1C, indicates the percentage of hemoglobin molecules that have glucose attached to them. The HbA1c value indicates the average blood glucose levels over the previous two to three months. An HbA1c level of 6.5 percent or higher indicates diabetes. A fasting plasma glucose (FPG) test is a test of the plasma glucose level after a period of fasting (with no food or drink other than water) for a period of at least 8–10 hours. An FPG level of 126 mg/dl or above strongly suggests diabetes, and the diagnosis can be confirmed by a second FPG level of 126 mg/dl or higher, measured on a different day. A random plasma glucose (RPG) test is a test of plasma glucose given at any given time, without fasting. A diagnosis of diabetes is made if the plasma glucose level is 200 mg/dl or higher and is accompanied by classic symptoms of diabetes — namely, frequent urination, intense thirst, blurred vision, unexpected weight loss and extreme fatigue. The oral glucose tolerance test (OGTT) is a plasma glucose test taken after the patient drinks a solution containing 7 grams of glucose following an overnight fast. If the plasma glucose level two hours after the glucose drink is 200 mg/dl or higher, the patient is diagnosed with diabetes. 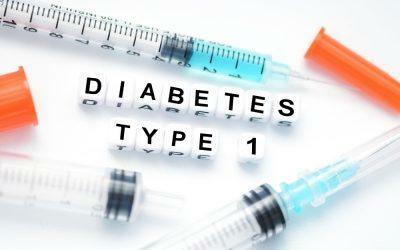 Other tests may be used to help determine whether the patient has Type 1 or Type 2 diabetes. The health-care providers may take a urine sample to test for ketones. Ketones are the byproduct formed when the body breaks down fat for energy, and their presence in the urine strongly suggests Type 1 diabetes. They may also take a sample of blood to test for certain autoantibodies, which may be present if the body’s immune system has an attack against the insulin-producing beta cells of the pancreas. The presence of these autoantibodies indicates that the patient has Type 1 diabetes — but not all people with Type 1 diabetes have these antibodies. Another useful test for distinguishing between Type 1 and Type 2 diabetes is the C-peptide test. C-peptide is a byproduct of the manufacture of insulin in the pancreas, but it is not present in injected insulin. Measuring C-peptide is a way to determine how much insulin a person’s pancreas is making, and a low C-peptide level strongly suggests Type 1 diabetes. Robert S. Dinsmoor, a health and medical writer based in Massachusetts, is a Contributing Editor of Diabetes Self-Management.